The REFRAMING PSYCHOANALYSIS website is co-edited by Catherine Grant, Vicky Lebeau and Pam Thurschwell, members of the CHASE Psychoanalysis Network, with graphic design by Tanya Kant and Catherine Grant. The website launched in December 2015 (with valuable input from Chris Lloyd). We welcome contributions to the blog from researchers in our network, and beyond, on topics (or events) of interest to our readership. We particularly invite contributions of between 500 – 1000 words (although longer entries are also possible), or of embeddable work in audio/visual formats. We are also maintaining an online archive of downloadable psychoanalysis and humanities/arts related course outlines. If you would like to propose a contribution to either of these elements, please email us at repsychoanalysis@gmail.com. We will only publish images and audio-visual material that we consider to be Fair Dealing under UK law by dint of their scholarly and critical use. If you are a rights holder and feel that we have published something infringing, please contact us at repsychoanalysis@gmail.com. 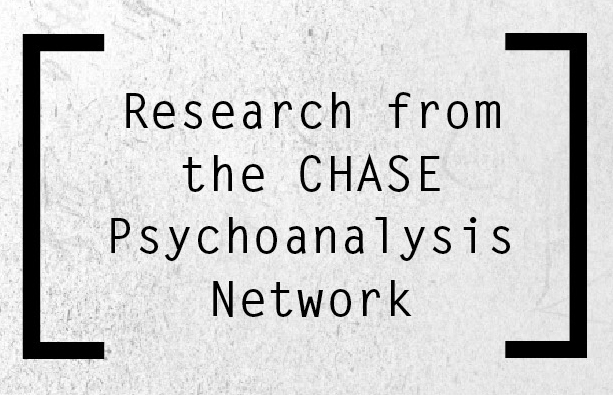 The views and research of individual authors published at REFRAMING PSYCHOANALYSIS are not necessarily endorsed by the CHASE Psychoanalysis Network, or by our website’s publisher REFRAME/the School of Media, Film and Music, or by the University of Sussex.